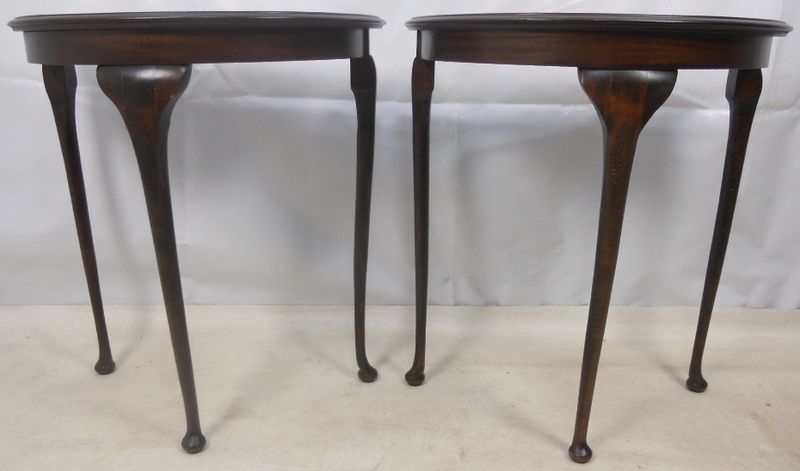 A nice quality pair of dark mahogany console tables in the Queen Anne style. 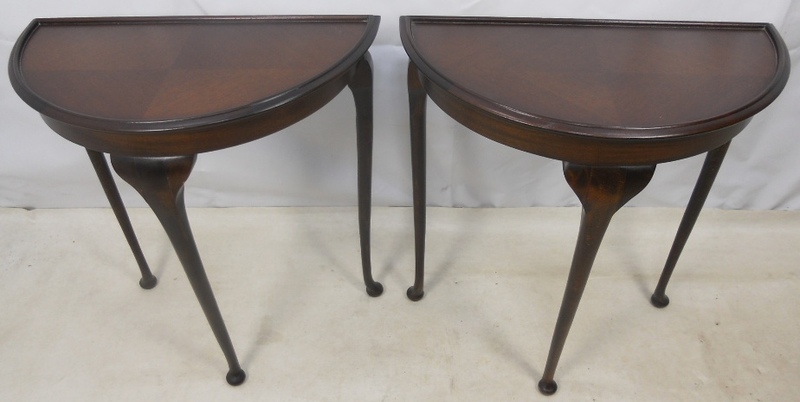 Making a useful pair of tables for either side of a window or larger piece of furniture. Giving useful surface area for lamps and photographs without taking up too much space in a room. 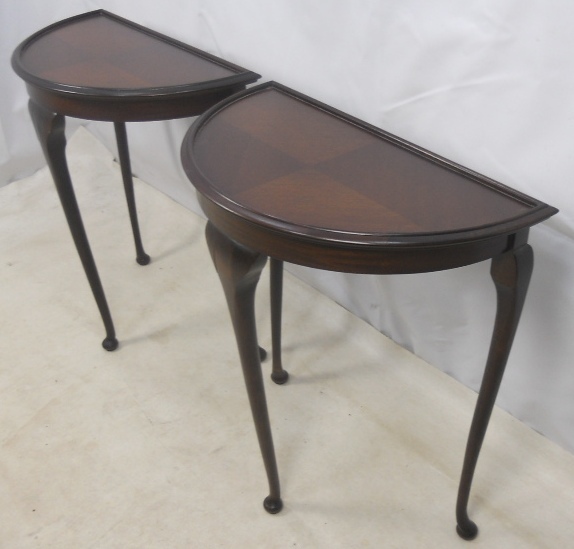 Also useful and attractive when placed in hallways and landings within the home. In nice condition throughout, circa 1970.